Good morning, Kirsten here, happy Monday - and happy almost November!!!! We had a fun class in Maidstone on Friday, you can see the cards in this album on the Lisa B Designs Facebook page and today I'm showing you the first card I made based on one of the class projects, which used the Woodware Clear Magic Snowman Family stamp. Next, the background, with Distress inks; I created the sun first, with Squeezed Lemonade through a circle die cut, then applied Cracked Pistachio and Twisted Citron through the trees' stencils. The next Grove Green workshop is on November 12 and it's the Christmas one!! Click for details and booking information. Places are already limited, so don't delay if you'd like to join us. 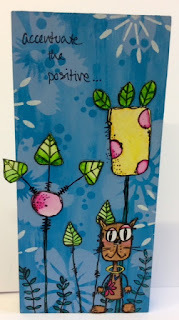 If you're attending one of the classes, we'll be stamping with Distress inks and colouring in the images, so if you want to bring colouring pencils or pens with you for your personal use, please feel free to do so. There are a couple of places left, so if you would like to join us please contact me by lunchtime on Thursday, October 26; 01622675078. Class times are 2.30 - 5.30 and 6.30 - 9.30. The fee is £16, which includes the projects, tools and items for use during the class, and tea/coffee and a slice of cake. I'll have them at Fant Hall, along with the November issue of Craft Stamper magazine on Friday. You can order items in advance from the website and I will bring them with me on Friday. Again, please do so by lunchtime on Thursday. The shop will be open to everyone from 2.30pm to 9.30pm on Friday, do drop in if in you're in the area. Remember to bring your loyalty card and a camera if you want to take photos of samples. The next workshop at Grove Green will be the Christmas one on Sunday, November 12. The fee is £40, which includes a kit worth £20. Places are already limited, so please contact me as soon as possible if you'd like to attend. More information about the workshop can be found HERE. That's all for now, I'm looking forward to seeing everyone on Friday - and don't forget, clocks go back by one hour on Sunday morning! 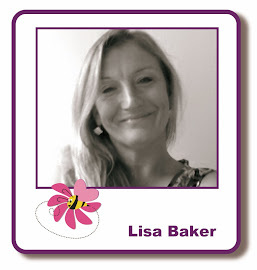 Hello, Kirsten here, I have managed to blog three Mondays in a row - makes a change!! It's October 23 and the clocks go back at the weekend, so I thought I'd show you two projects I made for the PaperArtsy workshop Lisa held on September 9. They're bright and colourful, a nice antidote to the long dark evenings ahead. I've no step by step photos, but they were both made the same way and I kept them quite simple. 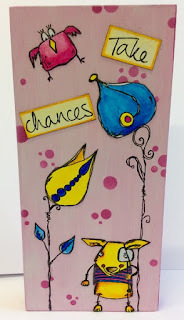 I'll put details of the PaperArtsy stencils and stamps, etc., below each photo. I painted the wooden icons - these are great! Lightweight and completely smooth, with Christmas on the horizon they'd make perfect gifts - with Deco Art Americana acrylic paints and added some stencilling before stamping the images on top. I stamped the images again on to white card, then painted them with Distress inks, used as watercolours. I cut the pieces out and glued them to the icons and that was it. That's all from me for now. Friday is class day in Fant Hall, Maidstone, ME16 8NN. We'll be making two Christmas cards with a snowman theme and there a couple of places left. Contact Lisa by Thursday lunchtime if you'd like attend.